Price - Sometimes, you’ve got to pay a high price to get your home looking just the way you want it. 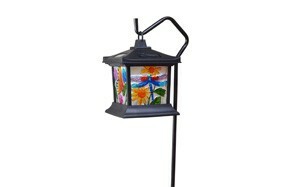 However, solar lights are nowhere near as expensive as some people might assume. This is always good news, and it allowed us to consider a variety of different options to suggest for you. 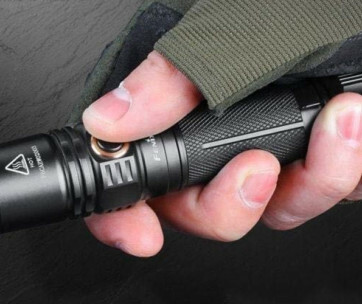 Brand - Unless you’re a solar powered outdoor light superfan - which we’re sure you’re not, but you never know - we bet you wouldn’t have been able to name us even one outdoor light brand before you read this article. 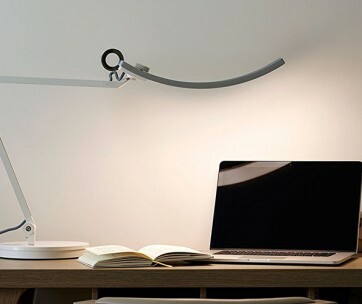 We will level with you, neither could we before we wrote it, but thorough (oh so thorough) research gave us a glimpse into the world of these lights and gave us an idea of which brands are the ones to look out for. Reviews - Anything electronic can be a tricky thing to select. People receive faulty batches, they don’t know how to set them up properly, or the item can be damaged in transit. These factors can sometimes impact the reliability of reviews by overpowering more balanced and positive examples. Despite this, we still find reviews very useful in determining the best products for you based on the overall review score (out of 5 stars) along with a few excellently received reviews - both positive and negative - which have been recommended by other users. Charge Time - Solar LED lights don’t rely on your average plug, cable, and socket like your other favorite electronics, but they still require to be fully charged if they will work effectively. The charge time will depend on the size of the solar panel and its placement in the garden. Luckily, solar powered lights don’t require you to remember to charge them; the weather does it all for you. The only thing you must remember to do is swap out the battery - if there is one - should the lights dim. Run Time - The reason you should ensure your solar panel is in the optimum charging spot is that it directly affects the run time. If you want your garden solar lights to fully illuminate your backyard while entertaining, or if you need the path lights to guide you home after a few too many with your buddies, this run time is crucial. Brightness - What’s light if it’s not bright? Having bright solar lights helps you see in the dark, they help you navigate formerly dark routes back home, and they allow you to see across your garden table to let you know your friends are still having a good time. Auto On / Off - Solar powered lights with an automatic on/off feature are an excellent solution for those days where you forget to activate them, as well as preventing the lights being on all the time, even when they need not be. High-quality models will come with a dusk and dawn setting, which switches the lights on when these set times occur. Size - There is a variety of different size lights available ranging from 2 LED models to 100 LED. The size of these lights is related to what you want from them, what the style of your garden, path, or porch is, and what you’ll use them for. Motion Sensors - Investing in lights that switch on only when movement is detected is a great way to ensure long life. These lights are great for when you pull into the driveway during the dead of winter and may be better options if you don’t want or need full drive illumination, or want them for some added security. Installation - Solar powered garden lights are much easier to install than standard wired lights as there is no tricky wiring involved. Hurrah! Instead, all you need to do is flick a switch, stick them in the ground, attach them to your fence post or wall, or hang them from wherever they fit and wait for the sun to do its thing. Light Color - The light color will affect the ambiance and mood you want to achieve while also offering different purposes for particular lights. White lights are great for visibility at night and perfectly suit the garden path, but they may not be as appreciated if they’re to light up the deck, you don’t want your guests blinded, do you? 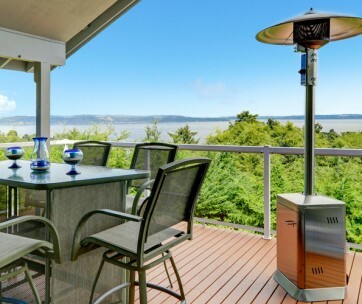 Weatherproofing - The problem with outdoor lights is that in most places they’re bound to encounter some less-than-desirable weather. Most outdoor solar lights have weatherproof casings (typically IP44, which is resistant to all weather, but it sometimes varies), but unfortunately not all of them. Care and Maintenance - If you’re looking for long-lasting lights, you must undertake the proper care and maintenance to ensure they last you through the years. This isn’t too complicated and keeping the lights and their fixtures clean from dirt and debris will suffice in most cases. You also must replace the batteries sometimes. Solar lights use rechargeable batteries, but they won’t last forever - at least not in terms of brightness. To save you ending up with just a cool-looking but the ultimately useless product, ensure you keep an eye over the battery level. 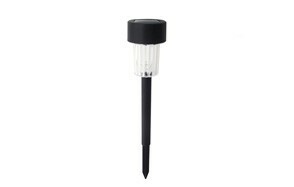 Spike - Spike lights (or ground lights, as they go in the ground, but spike sounds cooler) are ideal for lining pathways up towards your front door or even to have dotted charmingly around the backyard for you to admire with a nice strong glass of Scotch. Pole - Despite looking like the torches of an angry mob of horror movie villagers or even the hanging lanterns of decrepit but wise hermits you encounter on a fantasy quest, the pole solar lights are a popular and stylish option. 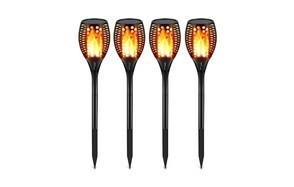 They come in a variety of shapes and designs, from imitation flame torches to just larger versions of the Spike models. String - String lights, also known as Bistro Lights because of their resemblance to many old photographs of Italian Bistros from the mid-twentieth century, look like mega-powered Christmas lights, just without any of the festive colors. They are connected via a cable which you can hang over hooks, nails, or existing garden decor. Think trees, trellis, birdhouses, and whatever else you might use to make your backyard pop. Wall - The self-explanatory wall solar powered lights are something you can affix to either your garden wall, house wall, or fence post. These also come in a variety of sizes, from the modest single light with minimal LEDs to massive 100 LED models capable of lighting up whole football fields with ease.